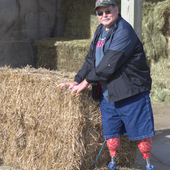 The National AgrAbility Project provides informational resources on a wide range of topics of interest to agricultural workers with disabilities. Many of these resources are available to be viewed online or for download. Some resources may only be available in print format and may be obtained by contacting us. If you are interested in purchasing a physical copy of any resource (print, video, CD/DVD), please contact us for more information.